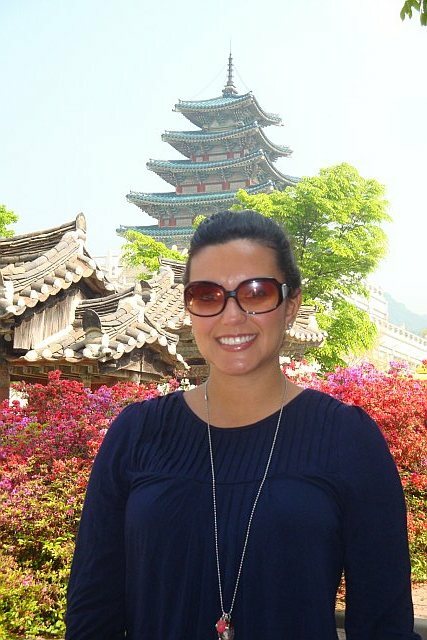 Day 3 started off nice and early with a visit to Gyeongbokgung Palace. 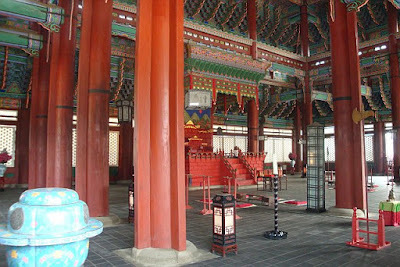 Of the five grand palaces built during the Joseon Dynasty, Gyeongbokgung Palace is the largest and most important one. 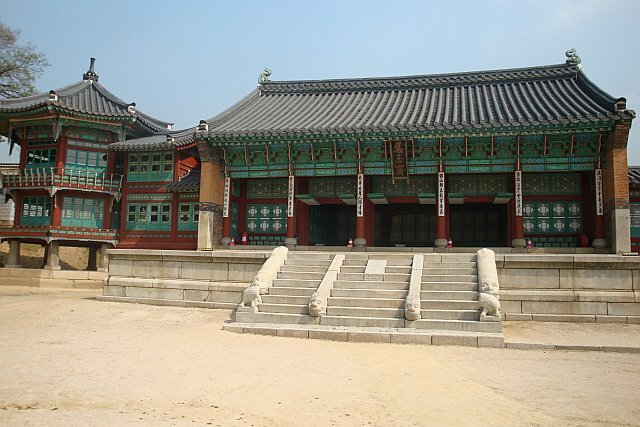 It is said to have had 500 buildings when it was first built, but during an invasion, the palace was burned. (It was later restored). From there, you must stroll through Bukchon Village. 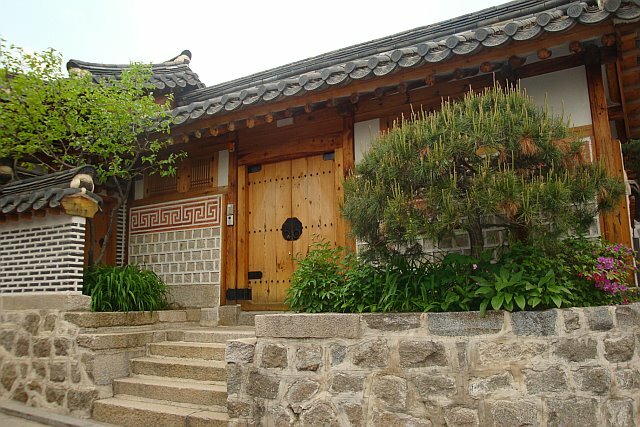 Bukchon Village is picturesque! 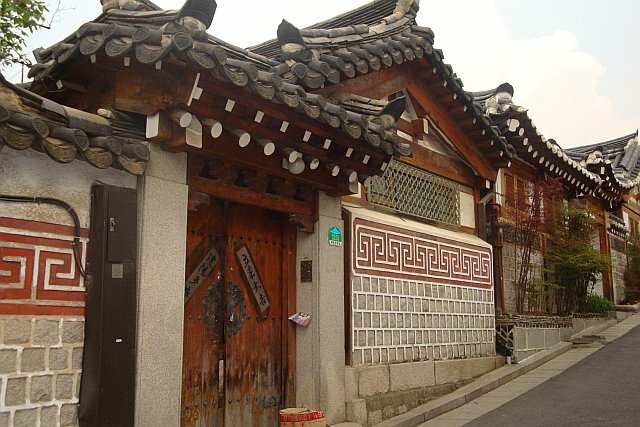 Bukchon has been a traditional residential district for more than 600 years of the history of Seoul. 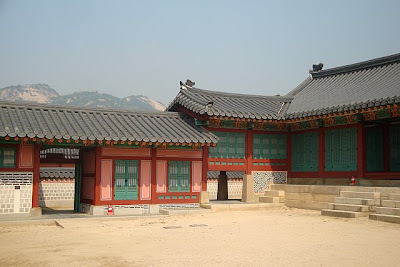 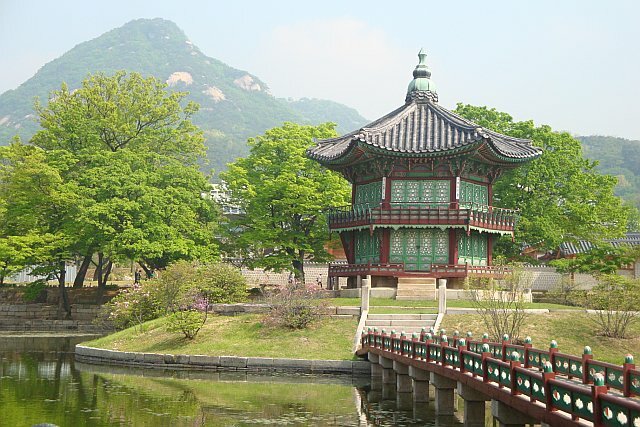 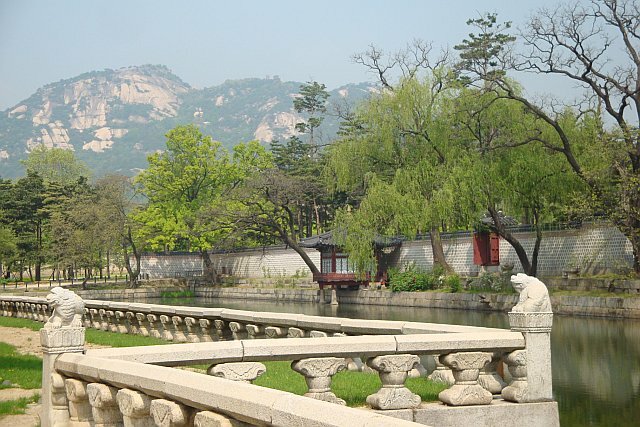 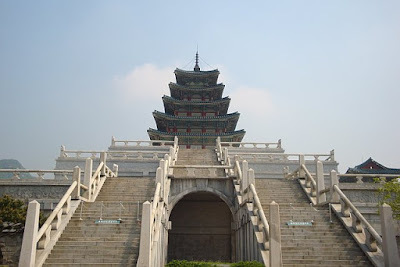 The village lies between Gyeongbokgung Palace on one side and Changdeok Palace on the other. 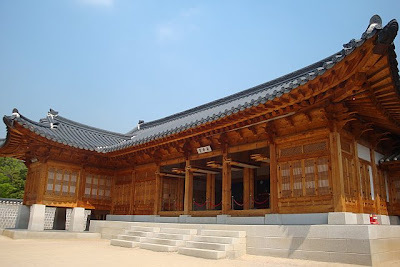 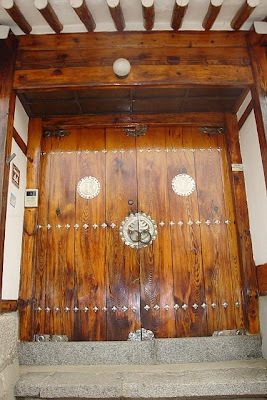 This village has the largest cluster of privately owned traditional Korean wooden homes or hanok. It's so cool to stroll down the tiny alleyways here and see the beautifully restored homes and courtyards. 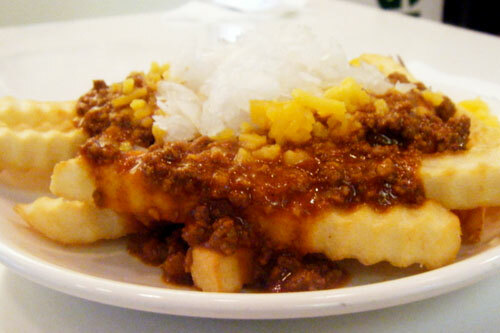 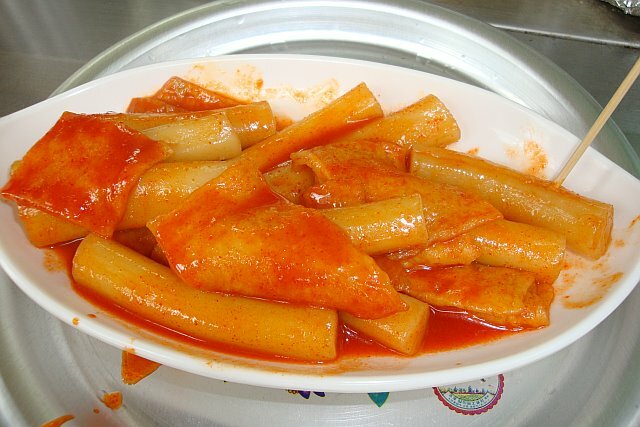 Along the way, they were selling Duk Boki (Korean spicy rice cake) on the street. 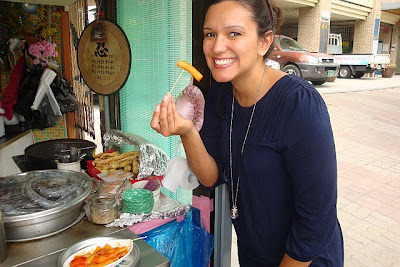 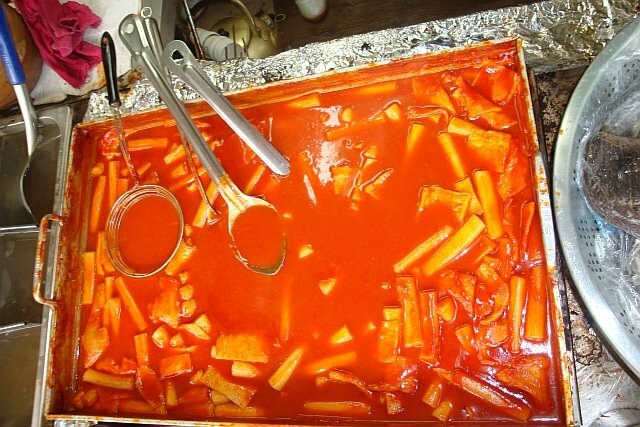 Everyone eats this in Korea, so I had to try it...it was awesome (spicy) but delicious! 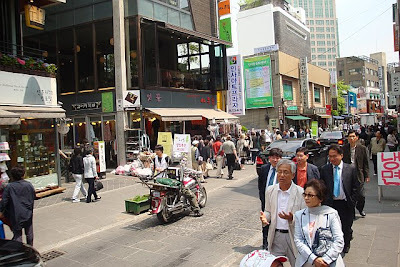 Then, into a cab and over to Insadong street in the Insadong neighborhood. Insadong is a traditional street that ties together the "culture of the past and the present". Insadong really has a great atmosphere- yes it feels a little created for the tourists, but it's not really that bad. It has a mixture of historical and modern- with part of it being a traditional market for antiques and artworks, and the other part being filled with trendy restaurants and shops. 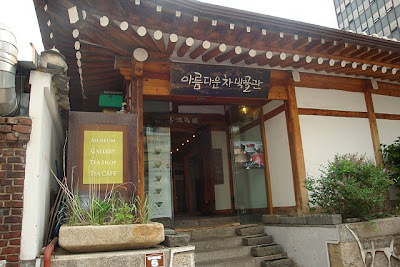 A "MUST DO" along Insadong is to stop and have tea at one of the many tea houses here. 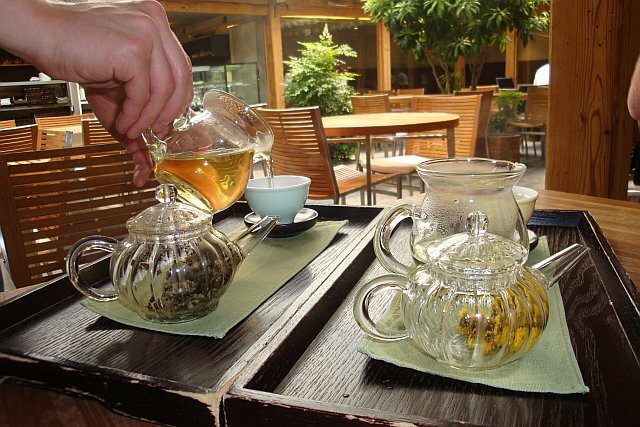 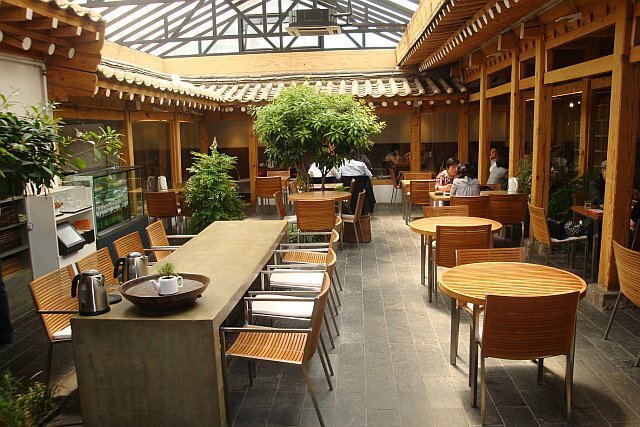 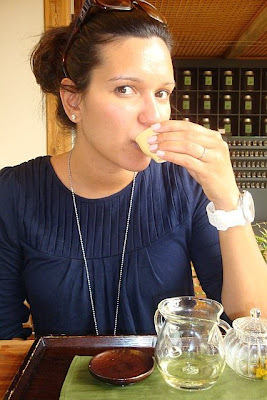 I headed to the Tea Museum for some traditional tea and the experience of sipping it in an outside garden area. 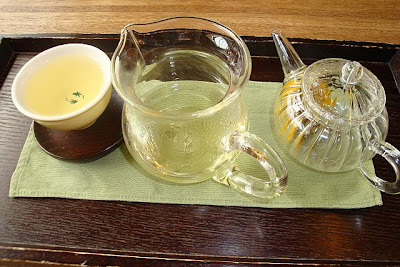 I tried Lotus tea and Chrysanthemum tea. Both are excellent- so soothing to drink. 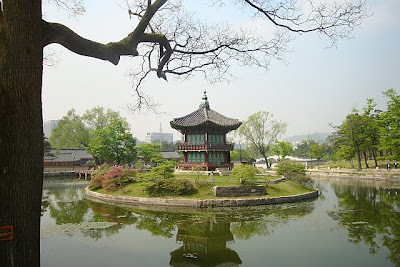 From there over to Itaewon area. 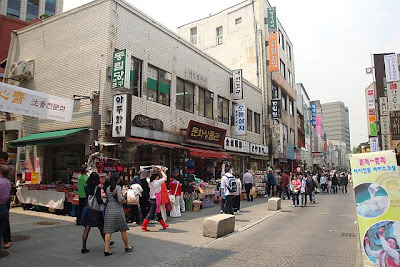 This area is just like 34th street in NYC. 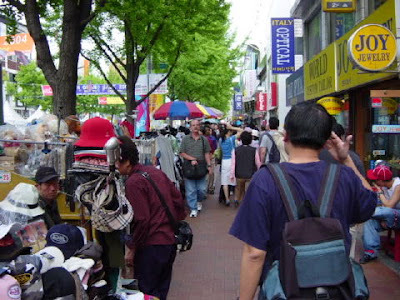 (It's filled with street vendors selling junky trinkets- I could have totally skipped this part). 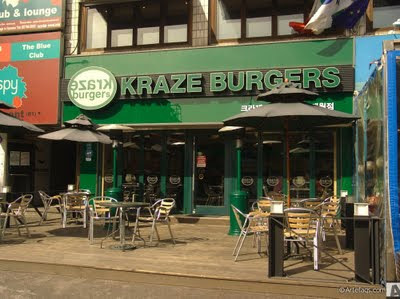 For lunch, I headed to Kraze Burger- they are all over Korea. I ordered the chili cheese fries... ...and a hot KB burger. It was great! This place looks like it would be a fast food joint, but it's sit down, and there's waiter service. 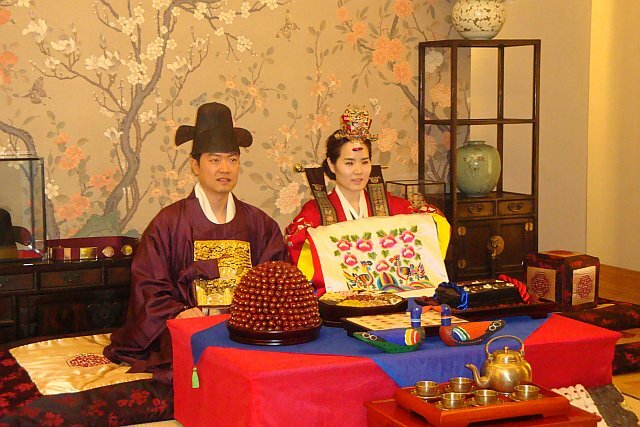 Now to the wedding!!! 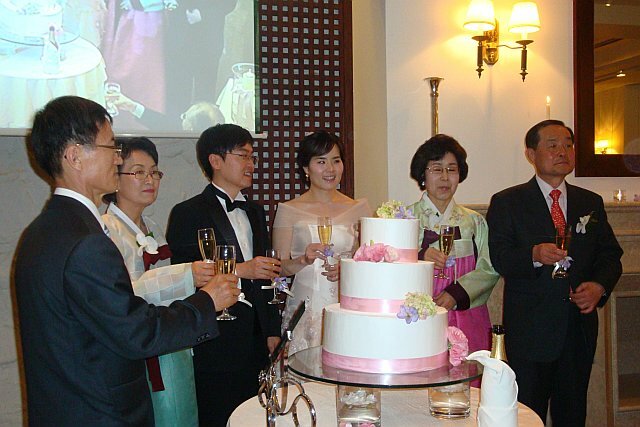 6 p.m.- and Danny and Lilac's wedding began (right on time!) 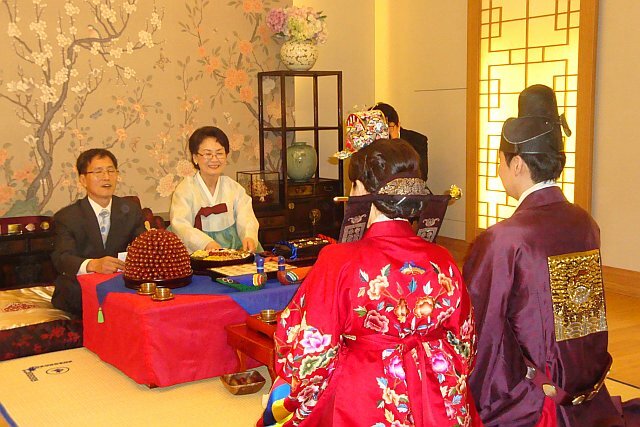 The wedding happened in three parts essentially. The first part was the actual ceremony (which only lasted for about a 1/2 hour)...next was the dinner portion of the wedding... ...then after dinner, Danny and Lilac invited us to the private Korean wedding ceremony where they wear traditional garments and bow to their elders who give them money in return. Here's a picture of me dressed up at the wedding (I had such a hard time deciding what to wear)! 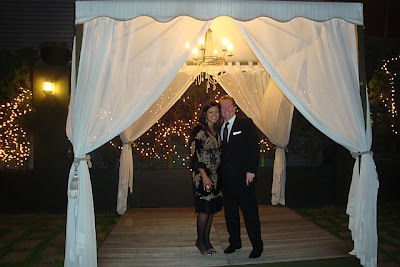 Danny and Lilac had the most beautiful wedding ever, and I was so happy to get to experience it in person. Danny and Lilac are such an amazing couple...CONGRATULATIONS!!! It was sad to say goodbye to them, but now starts the Japan leg of the trip...so stay tuned! 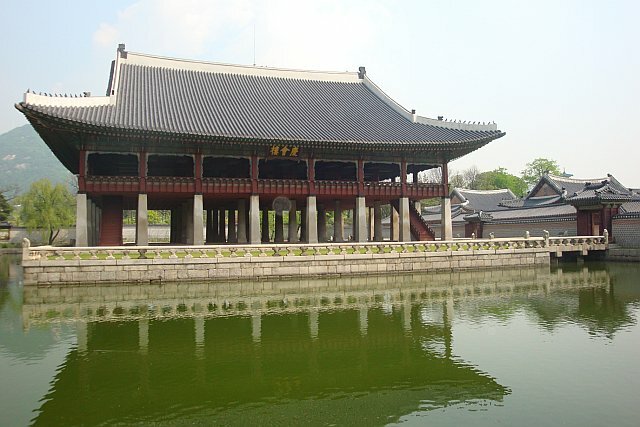 What's the atmosphere like now that tensions are growing between North and South Korea?